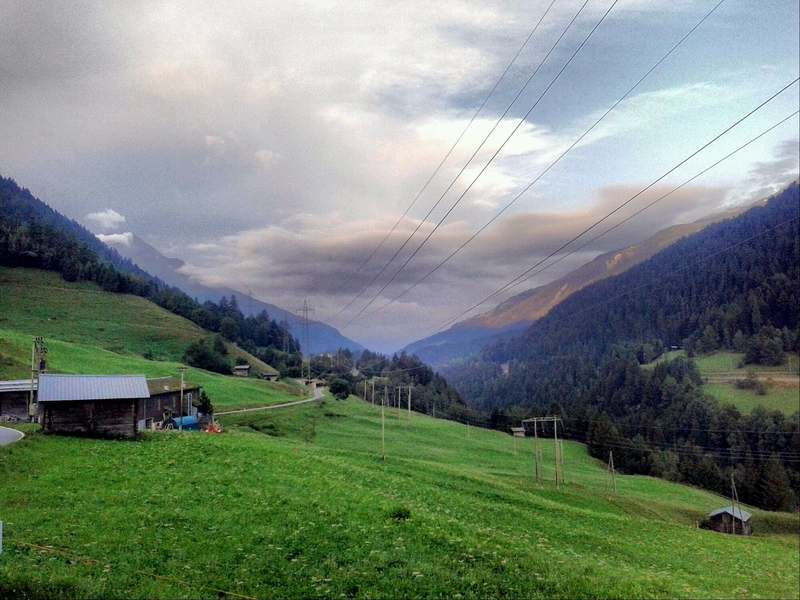 Lying in my tent last night in the Valais, between 3 and 4 o’clock I was awakened by the flashing of distant lightning. That was the last straw; it cemented a decision I took yesterday evening. Because the weather report for the area promised only heavy thunderstorms and rain over the weekend, I will take a break until Monday. Especially because in this region of Switzerland is something I’ve always wanted to see: the UNESCO world heritage, the Aletsch Glacier, the largest remaining icefield in central Europe. There is no point trying to see the Aletschgletscher and the 4000ers of the Berner Oberland in the rain. My options were: skip the Aletsch and the Oberland, and simply hike on through the valleys; check into a hostel and sit out the bad weather for three days; or take a break and go visit someone. 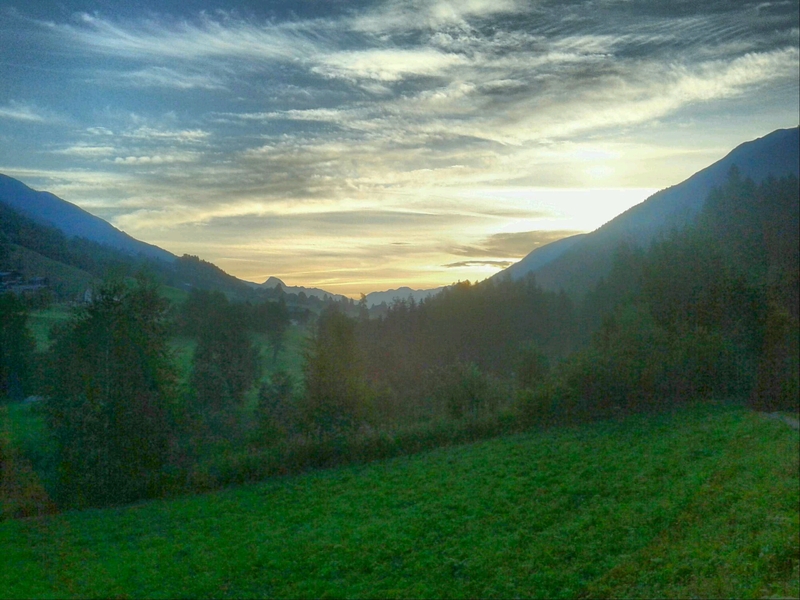 So at dawn I packed up my tent, walked down to the village of Fiesch, and stuck up my thumb by the roadside, to hitchhike away from here. I’ll come back to this exact same spot at the beginning of next week, to continue the trek. Nobordertrek is on leave but far from over!